In August, I shared news about a limited release of QuickBooks® Online Advanced, a new offering for customers who are outgrowing QuickBooks Online Plus and looking to maximize their productivity. In the coming week, we will release the product to a larger group of small businesses. Before we do that, my goal is to provide you with additional information about the offering to reinforce your role as your clients’ most trusted advisor. While QuickBooks Online Advanced is a promising new offering with an exciting set of new features, it might not be right for everyone. You are best positioned to determine if QuickBooks Online Advanced is right for your clients. In that spirit, we encourage you to discuss it with them, and have compiled the following FAQs to assist you as you do so. You can also review this segment from the August In the Know webinar to learn more about the new offering directly from product manager Richard McCann. I also ask for your feedback so that we can make QuickBooks Online Advanced stronger. Please join the conversation and share your thoughts. I look forward to keeping you updated on what we’ve heard from the accounting professional community and what we’ve done in response. What is QuickBooks Online Advanced? Up to 25 users with full and simultaneous access. Dedicated Customer Success Manager: A single point of contact to route support questions, suggest online training and make QuickBooks product recommendations. Priority Care: QuickBooks technical support calls are routed towards the front of the line and to our top small business agents for quick resolution of issues. Online Training: Up to 5 online training courses annually included. The list price of QuickBooks Online Advanced is $150 per month. Full product details and pricing information are available here. How can customers sign up for QuickBooks Online Advanced? Customers can sign up by calling 1.877.877.9185. If the QuickBooks Online Plus customer meets the upgrade criteria, the admin can also self-serve upgrade in the product by clicking the Gear Icon > Account and Settings > Billing and Subscription > Upgrade. Will Advanced be available on Wholesale? When? We know that our accounting professionals value the ability to pay for their clients’ software through one unified bill and appreciate the partnership we demonstrate by offering an exclusive discount. We will keep you posted on our plans for a wholesale discount as they develop. Is this the online counterpart to QuickBooks Enterprise? QuickBooks Desktop Enterprise and QuickBooks Online Advanced are both intended to serve larger small businesses, or those that have more complex needs. However, QuickBooks Enterprise is geared towards manufacturing and wholesale businesses with its inventory functionality, while QuickBooks Online Advanced is geared towards larger small businesses who want to be on the cloud, or who want access to QuickBooks Online’s larger app ecosystem. Provide them with a single Intuit point of contact so product issues and questions can get resolved quickly. Get their tech support issues resolved quickly, working with top agents. Priority Circle is not designed to replace a ProAdvisor or accounting professional. Acts as the single Intuit point of contact for the small business. Escalates and helps resolve open support issues. Provides the small business with their Real World Training codes. Helps with billing and payment issues. Can assist with onboarding when there is no accounting pro attached through QuickBooks Online Accountant. Is available only to QuickBooks Enterprise Desktop and QuickBooks Online Advanced customers. A business advisor or someone who develops business plans/strategy. How does Priority Care differ from accountant or Diamond support? Recognizes their registered phone number and routes them towards the front of the small business support queue. Connects them with top performing small business agents to resolve their product issue as quickly as possible. Answer accounting or bookkeeping questions. Route callers to accountant or Diamond support. What is the training that’s included? Up to 5 free online training courses annually offered through Real World Training, at no additional cost. Includes online, self-paced training on Intuit products and services. Provides basic training for QuickBooks products to help small businesses set up the product correctly and understand its capabilities and features. How will Priority Circle support work in conjunction with clients who have a ProAdvisor or accounting professional? Customer Success Managers will recognize that your client is connected to you, and will leave the setup to you, the accountant, since we know that accountants often want to personally set up their clients the right way on QuickBooks. If you and your client prefer for the Customer Success Manager to assist in setup, you can make that request. Priority Care – clients getting moved towards the front of the line when they call support – will continue to work normally. Online Training – if as an advisor you’d like to use these classes to supplement any personalized training you provide for your client, you can review the online courses here. Does this offering cap at 25 full access users? Currently the maximum is 25, not including time tracking only users. We’re currently exploring options beyond 25 by working with customers who have more users. Will QuickBooks Online Advanced help large files run faster? We are continually working to enhance performance and have made some dramatic improvements this year which benefit all QuickBooks Online offerings, not just QuickBooks Online Advanced. Will this offering get customers beyond the upload limit of 350,000 targets? Not at this time. For the future we are looking at anything with volume and will keep you posted as new functionality is released. Will there be product enhancements? If so, how can I stay up to date? Yes! This is just the beginning of QuickBooks Online Advanced. Stay tuned to Firm of the Future and our Intuit Accountants Facebook page for more updates. How can I influence the future of the product? Please share your thoughts and ideas through this survey. 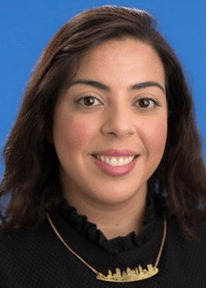 Ariege Misherghi is the leader of the Accountant Segment within Intuit’s® Small Business Self-Employed Group. She is a customer-focused, creative leader who is committed to the customer experience, and has a passion for solving the tough and unique challenges accountants face. Her team serves the more than 700,000 accountants globally that use QuickBooks® Online Accountant to help grow their firms and better manage their practices, allowing them to focus on being strategic advisors to their clients.